Enclosed Carport with Steel Garage Door, Glazed. This house originally had an attached carport that was enclosed. A steel garage door with windows and decorative inserts adds immediate value, security, and convenience to any home. Many homes here in Marietta, and in metro Atlanta, have had a similar remodel. 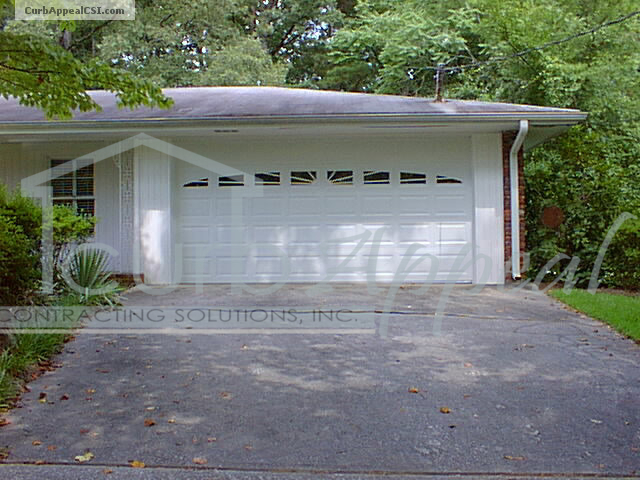 Going from a carport to having a garage door is a big switch that we know you’ll be glad you made. Having a garage door installed in the carport can provide a secure, weatherproofed space for storing your vehicles, lawn equipment and belongings. 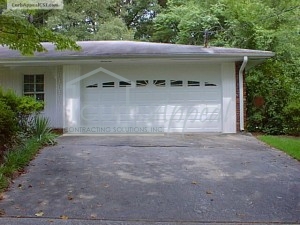 There are many different styles and options available for garage doors here in metro Atlanta. That’s why we always offer free estimates to homeowners interested in new garage doors and carport enclosures. For more information, call us today at 678-714-7393, or contact us online. We also have another photo of a carport enclosure available online. More information about carport enclosures and detached garages can also be found under Services.